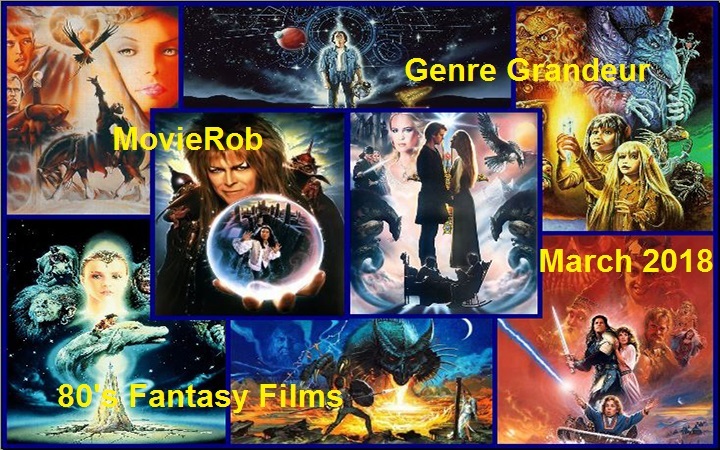 For this month’s next review for Genre Grandeur – 80’s Fantasy Films., here’s a review of The Princess Bride (1987) by me. Thanks again to Jeanette of The Mundane Adventures of a Fangirl for choosing this month’s genre. Next month’s Genre has been chosen by Keith of Keith Loves Movies and it is Spy/Espionage Films. Try to think out of the box! Great choice Keith! My Take on it – This is one of my all time favorite films and when Jeanette chose 80’s fanatsy films for this month’s Genre, I knew immediately that this would be my choice. The story is structured by Goldman in such a way that it entails so many varying themes which allows for it to have something for everyone to enjoy. The atmosphere of the story is extremely fun and it really works on so many levels that it can appeal to so many kinds of people. The cast is amazing with Cary Elwes, Robin Wright, Christopher Guest, Chris Sarandon, Mandy Patinkin, Andre the Giant, Wallace Shawn, Fred Savage, Peter Cook, Peter Falk, Carol Kane and Billy Crystal all being able to find ways to create so many iconic characters for us to love and cherish even after more than 30 years. This is one of the films that probably is most often quoted or at the very least, most people are familiar with many of the very iconic quotes from it. The plot is great and moves along so naturally that there are no points where something feels out of place or extraneous. This is based on a book by William Goldman (who also adapted the screenplay) and it remains one of the best film adaptations of a novel to date. There are obviously some parts of the book that didn’t make it into the script that I wold have loved to have seen on screen, but I am aware that it’s virtually impossible to adapt something word for word. The music is perfectly used and helps the story move along. I have also always loved the theme song of this film Storybook Love and will never forget how one of my friends used that song as his wife walked down the aisle. Bottom Line – Excellent film because it has so much for everyone to be able to find something to enjoy. This is such a fun film and works on so many levels. 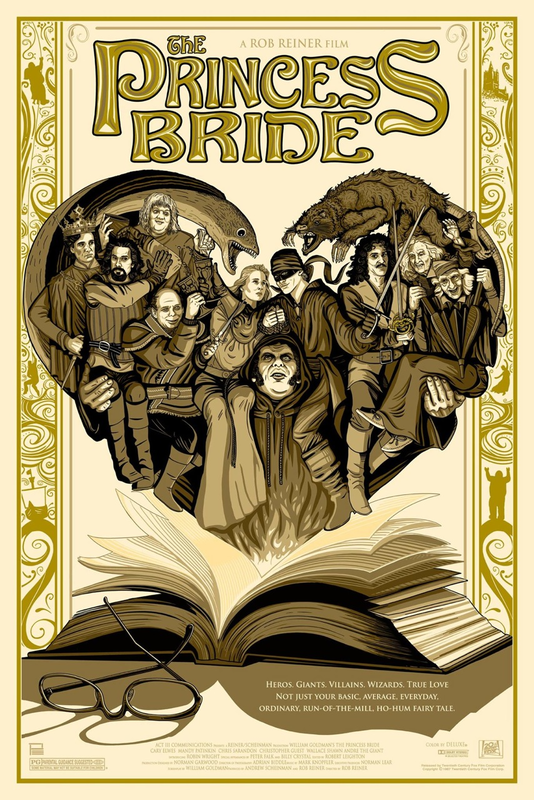 The cast is superbly chosen with Cary Elwes, Robin Wright, Christopher Guest, Chris Sarandon, Mandy Patinkin, Andre the Giant, Wallace Shawn, Fred Savage, Peter Cook, Peter Falk, Carol Kane and Billy Crystal all being able to create iconic characters that will be remembered for quite some time. This is a film that is so quotable and most people will be able to recognize the quotes because they have become so familiar over the past 30 years since this came out. The music is perfect and I have always loved the theme song Storybook Love. The plot flows extremely well and it moves along so fluidly that it feels so natural. Is one of the best adaptations of a book to the screen eventhough there are a few parts of the book that I would have loved to have seen. Highly Highly Recommended! You know what? I still haven’t seen this one. Absolutely high time I do, isn’t it?